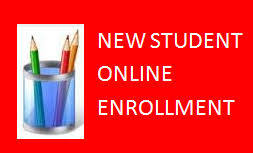 Click on the Registration Icon and go to New Student Enrollment Information to enroll your student(s) online for school year 2018/2019. After submitting the enrollment you will be sent an email letting you know when to come to the District Office to bring the required documentation to finalize the enrollment. between 8:00am and 4:00pm if you have any questions. 8:30 AM - 10:00 AM RT - 5th Drama Perf.